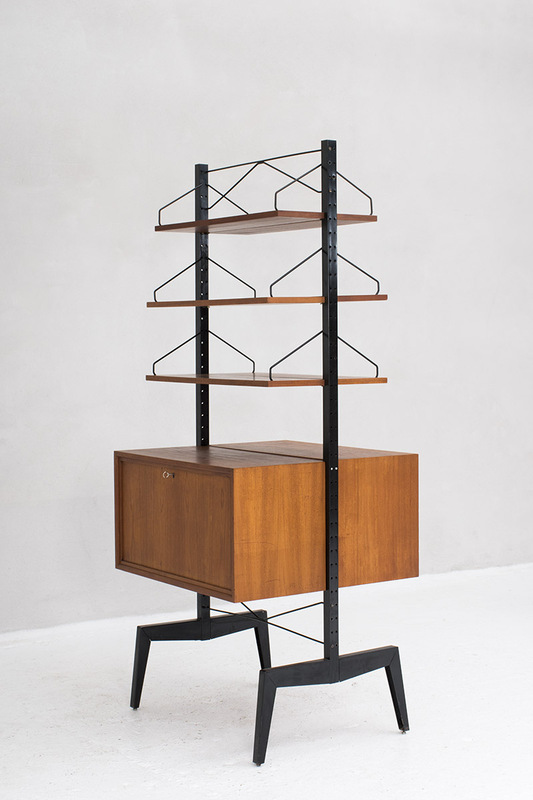 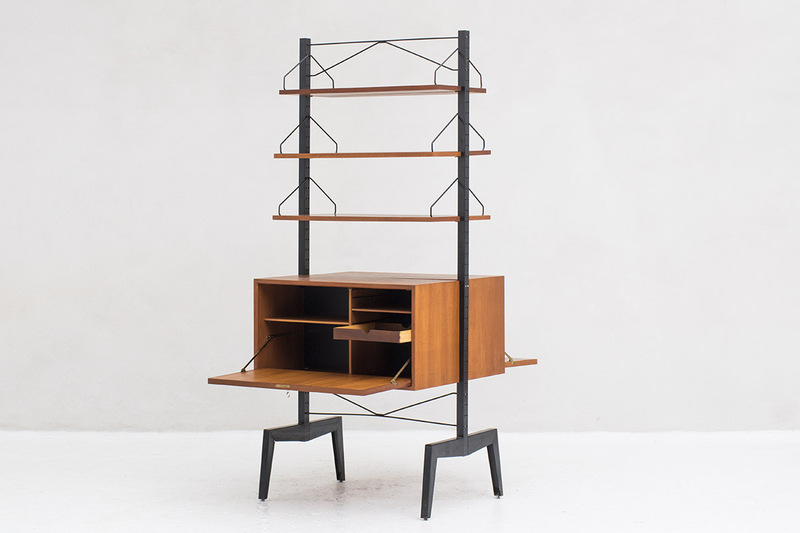 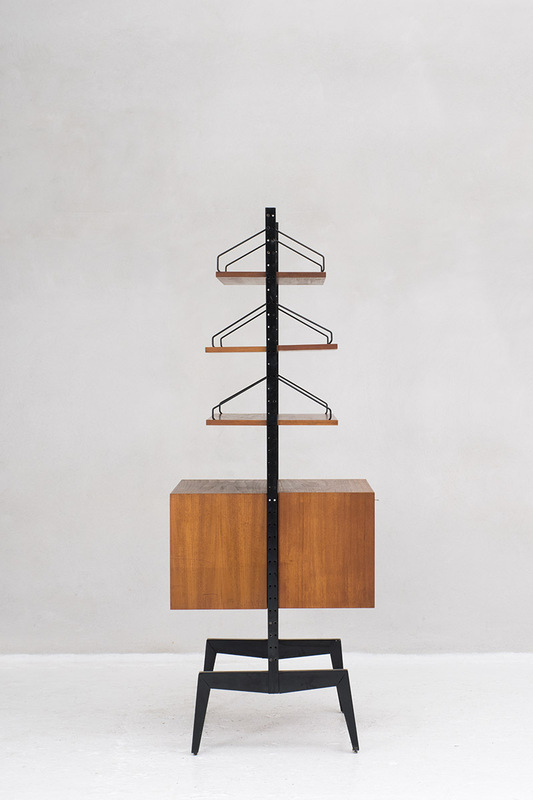 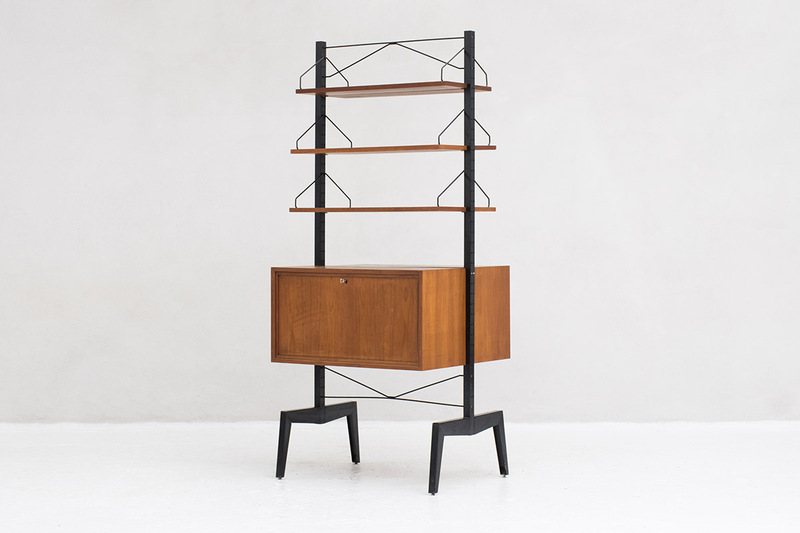 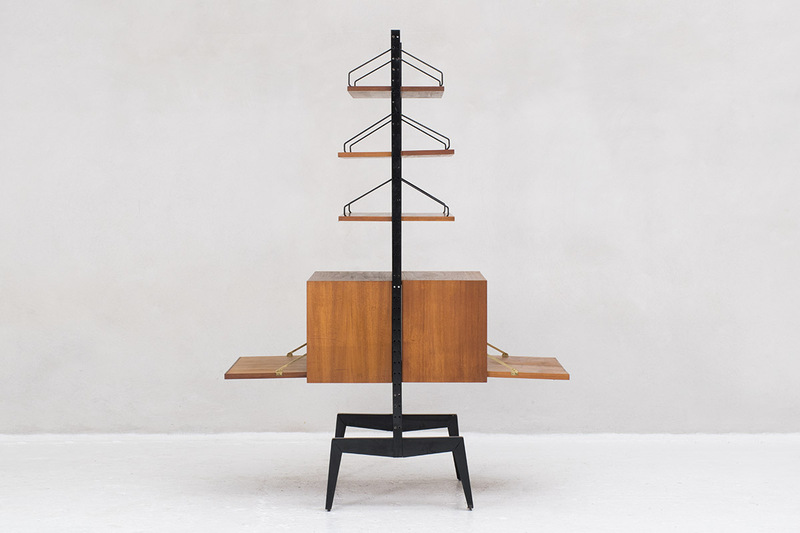 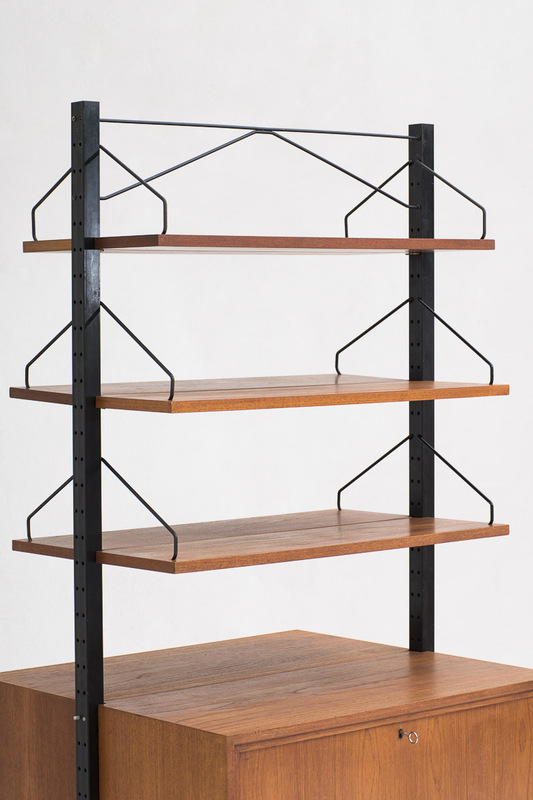 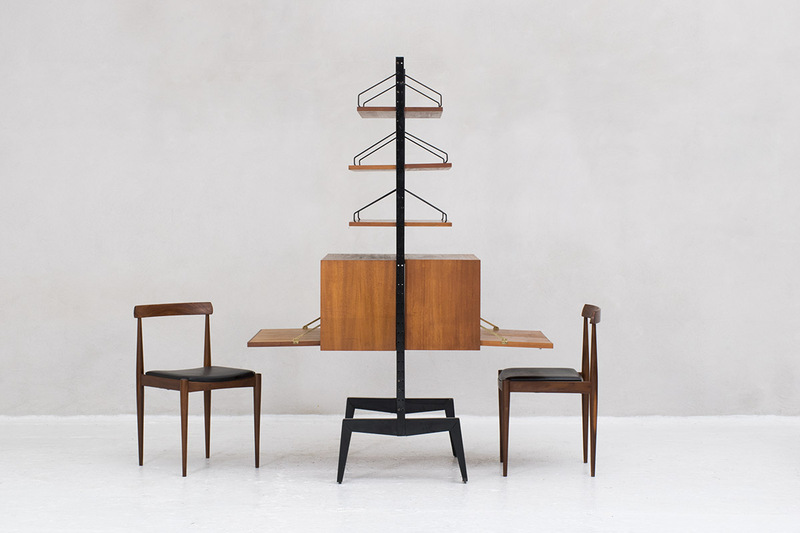 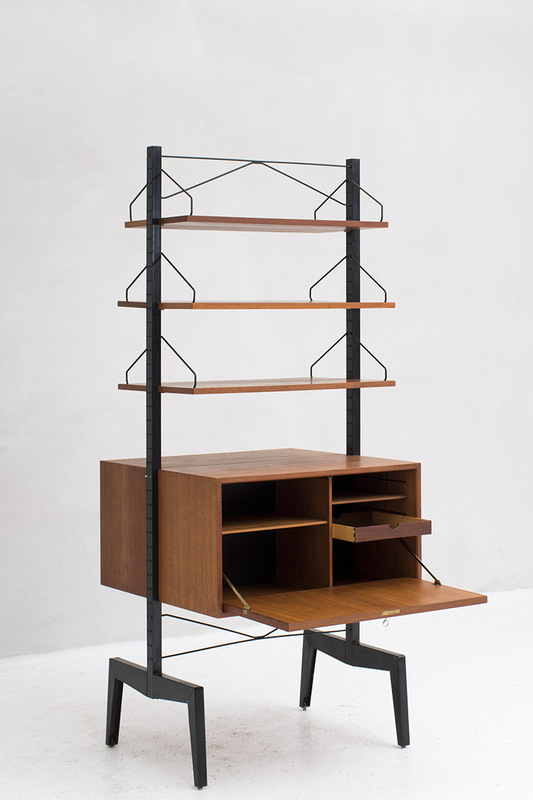 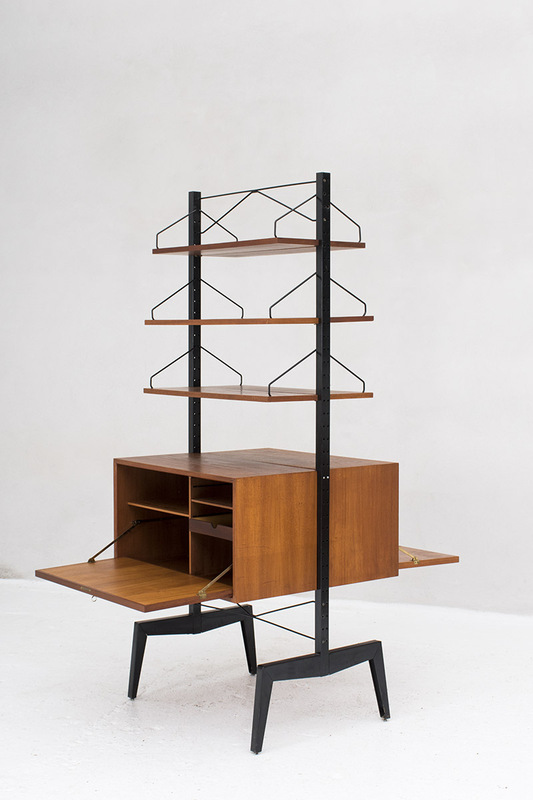 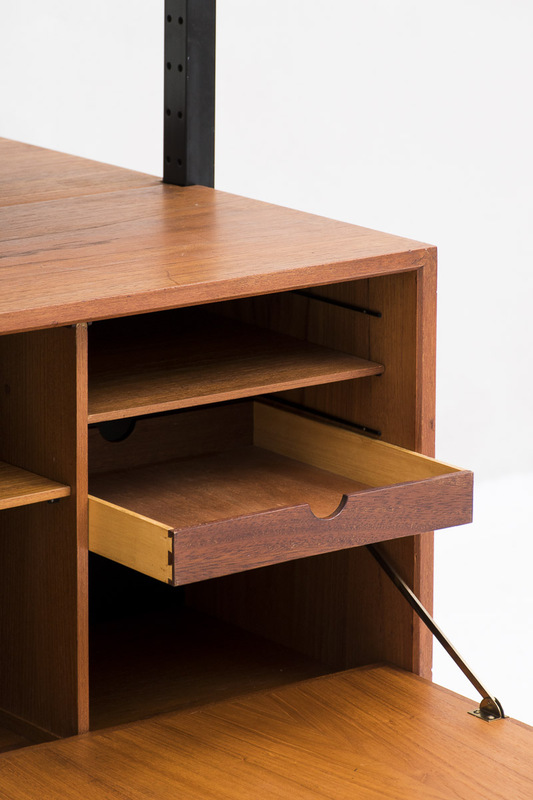 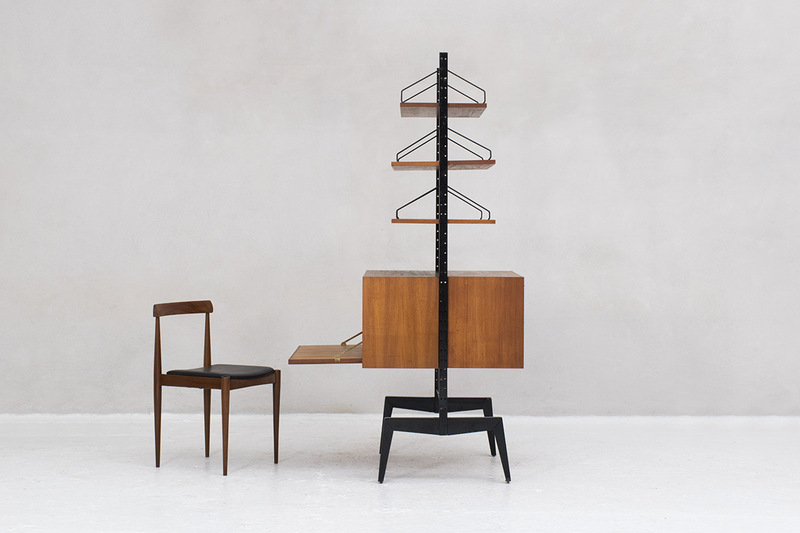 Freestanding wall unit, Royal sytem, designed by Poul Cadovius and produced in Denmark around 1960. 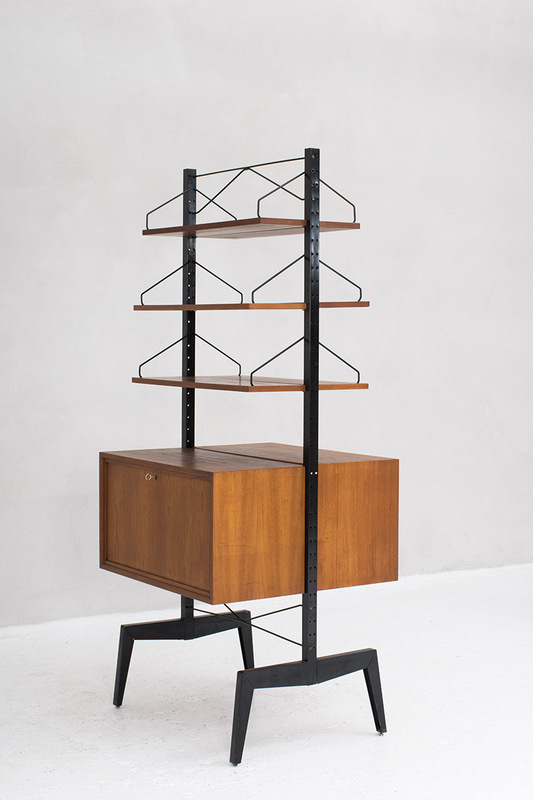 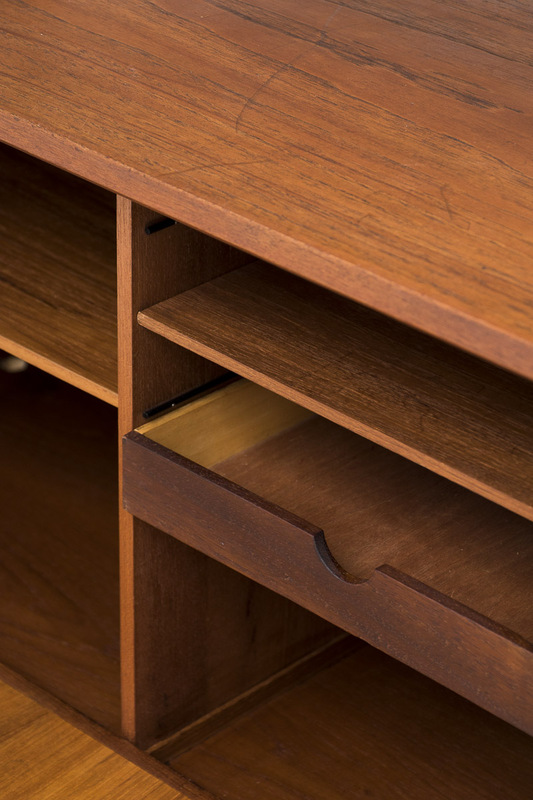 This rare setup features two smiliar desk cabinets with 3 shelfs on each side. 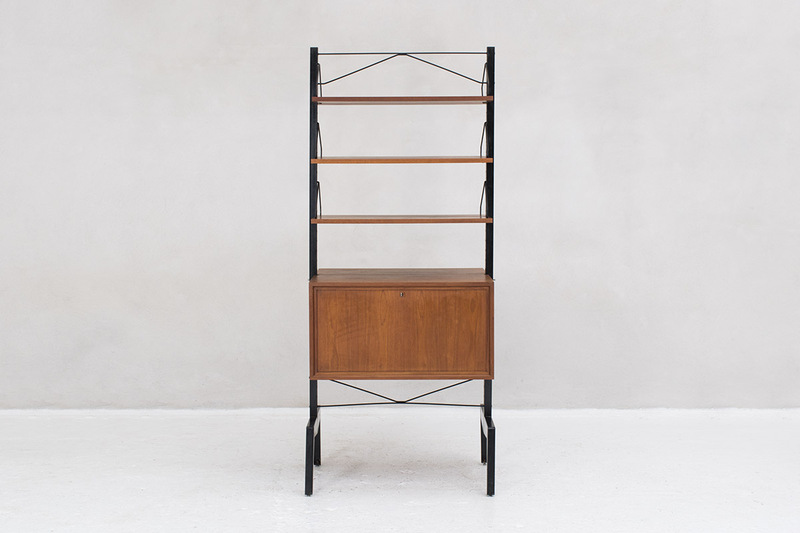 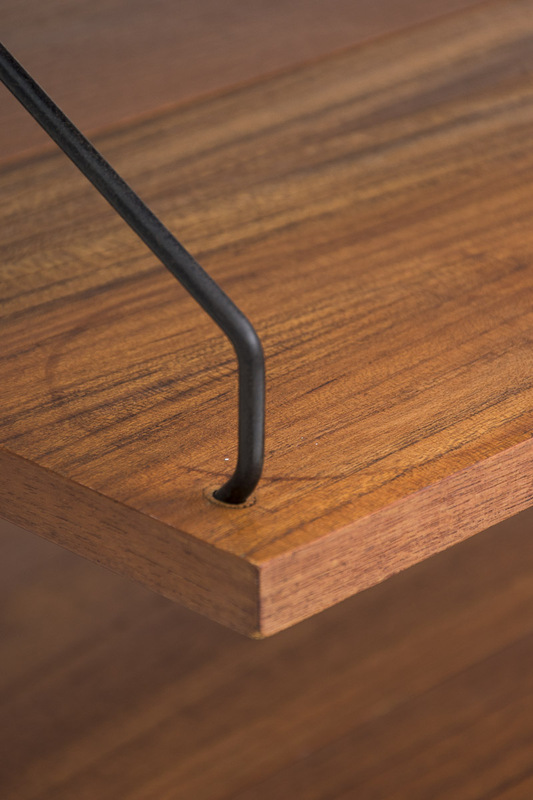 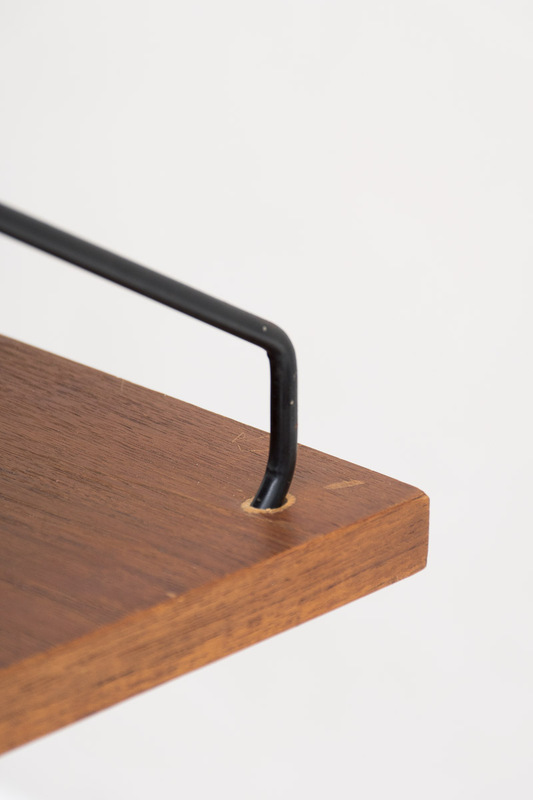 The unit is worn entirely on two black metal structures. 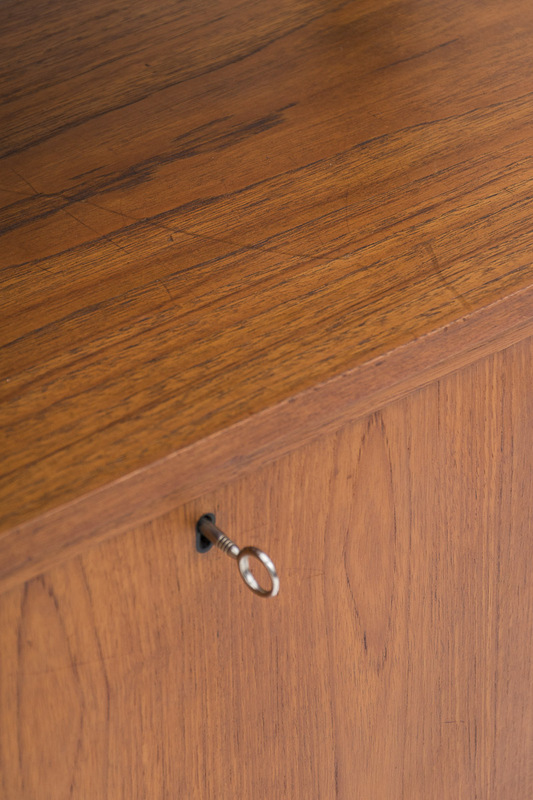 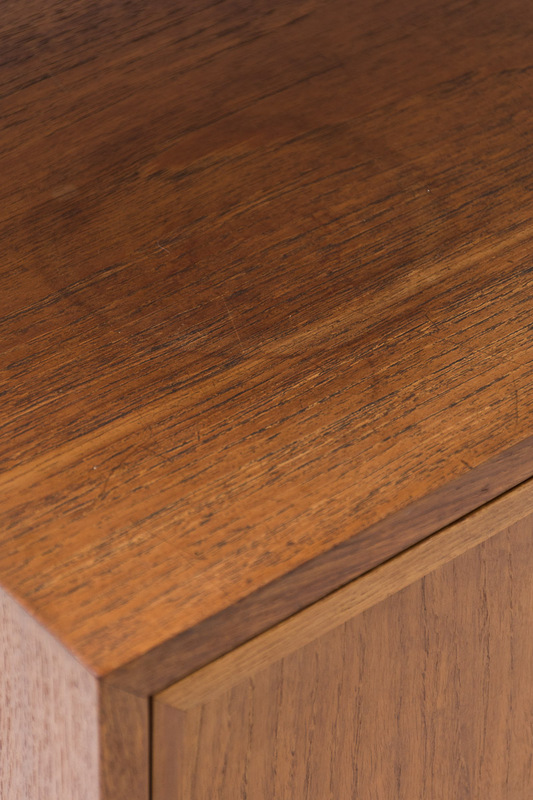 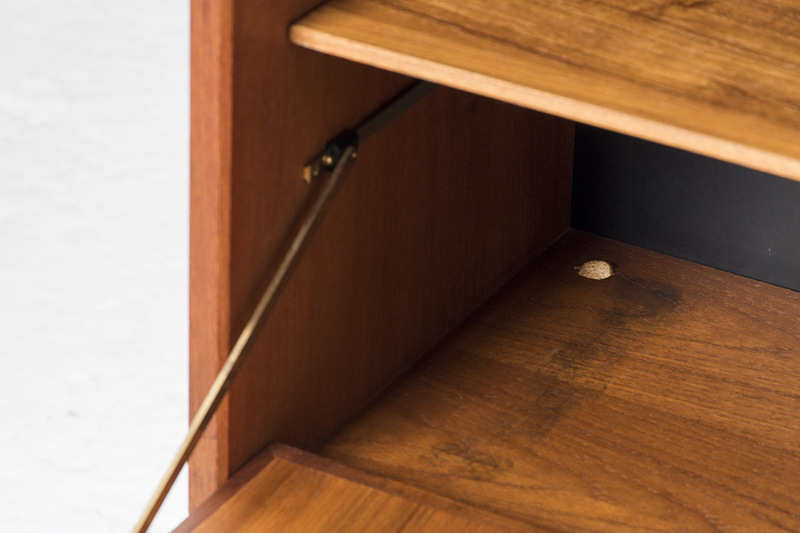 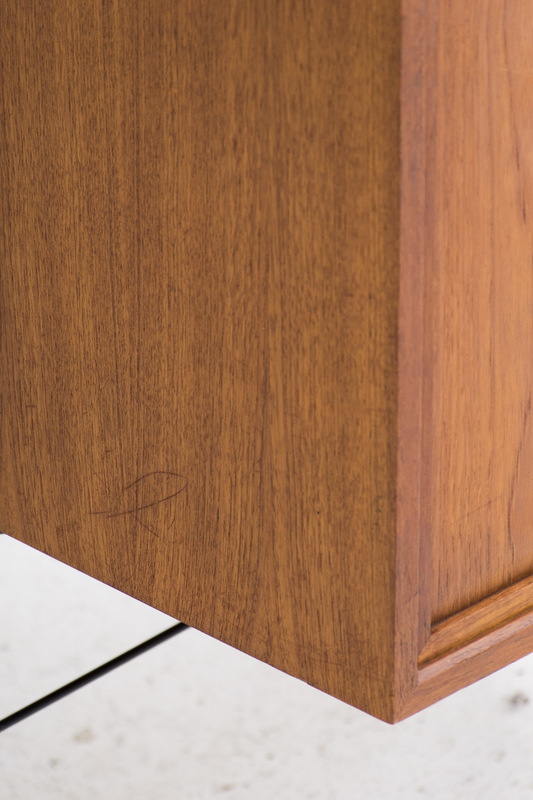 One cabinet has a small hole in the bottom as you can see on the pictures. 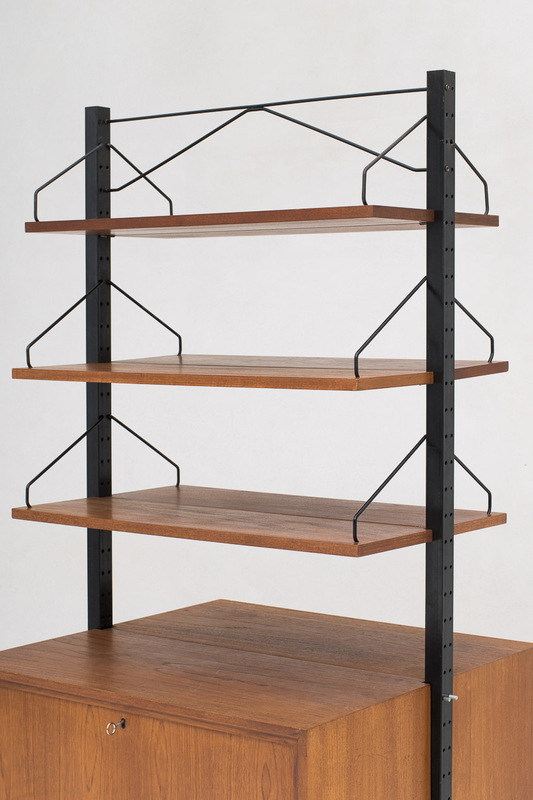 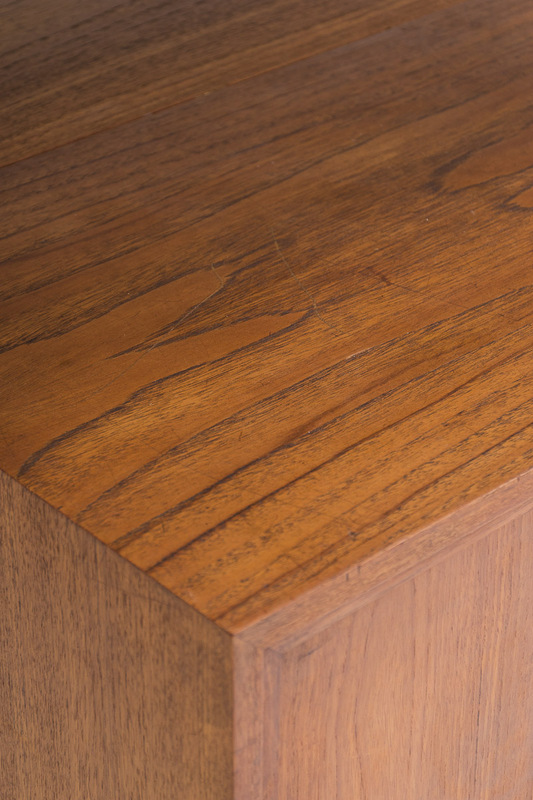 Check also our wall unit page on our website if you want to compose your own wall unit.